There hasn't been a lot of creating time in this house this week as the flu hit two of the kids hard, poor things. They are feeling a lot better now so I got to make a few things today which was great! I made this card for the latest Dynamic Duos Challenge which is using Poppy Parade & Basic Black, and also the Cas-ual Fridays Challenge, which is to use a black card base. That is such a cute card! Love the simple and beautiful style! Thanks so much for joining us over at Dynamic Duos! Super CAS card! 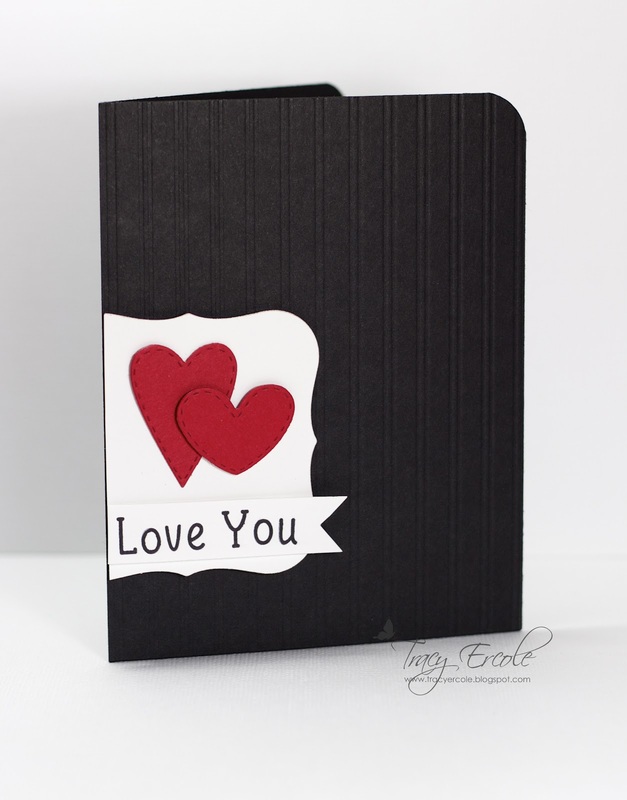 Love the boldness and texture you added to the black card base! Thanks for playing along with us this week at CAS-ual Fridays! Love that IP! Fabulous job combining challegnes! So glad you could play along with us this week at CAS-ual Fridays! Glad the kiddos are feeling better, too. LOVE the simplicity of this Tracy, co CUTE! Sorry to hear about the kiddos, hope they're on the mend. Thanks for playing along with us at Dynamic Duos! Love the layers. Hope everyone is feeling better! Thanks for playing with us at Dynamic Duos! I love the touch of embossing. So beautiful. Thanks so much for playing with us at CAS-ual Fridays! Nice CAS card. Thanks for joining us at Dynamic Duos this week. Love the texture on the black card base. 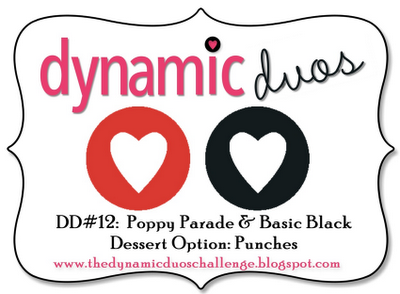 So happy you joined us this week at Dynamic Duos with your great CAS card!